First outdoor target competition of the year and and a great day at Kendal Bowmen’s Longbow Western. Weather was a lot better than it could have been (gales had died down, no snow like last year and the mud not nearly as deep as the year before!). Katrina Horton won trophies for Best Gold and “Most Hits for a Lady not in Top 3”. Chris Eccles, Alison Williams and Katrina Horton prizes in the raffle. Steve Williams’ bowstand was much admired! 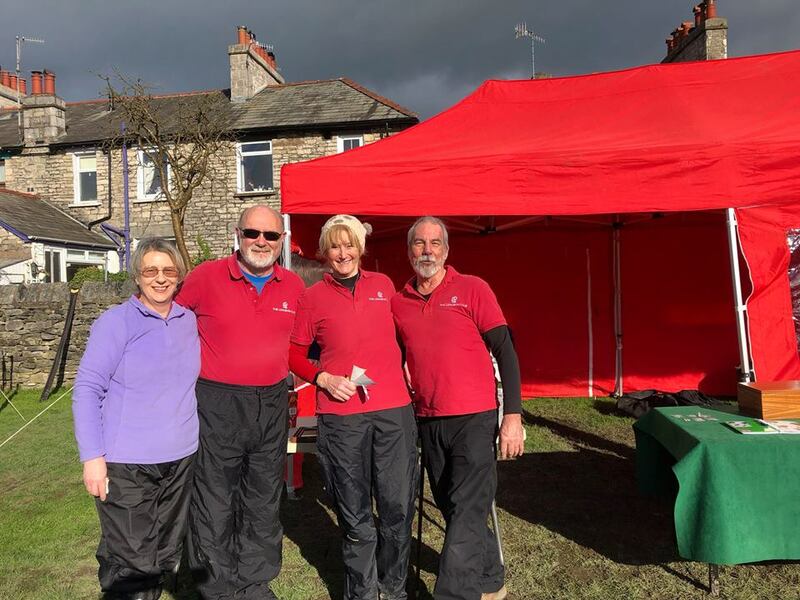 Great fun and lovely company and the refreshments were brilliant as usual so thanks to everyone at Kendal Bowmen for another enjoyable day! We are a friendly traditional only archery club shooting English Longbows, American Flatbows, Asiatic Horesebows, Field Recurves and primitive bows in Target, Field and Clout disciplines. We are the only traditional archery club in the North West UK.